I am very pleased to be offering a free gift to all purchasers of Kelly Sullivan Walden’s wonderful new book, It’s All In Your Dreams. Kelly and I have been great friends for quite a while, and I absolutely love her work. The unique gift available, called Tastings of Eden, is a downloadable pdf which includes two mandala coloring templates that are featured in my newly released mandala coloring journal, Shades of Eden. These mandalas are interwoven with other tastings from The Eden Method – a new energy healing approach that is gaining a lot of attention. The gift provides an opportunity to experience energies of Love, Joy, Peace and Harmony … the frequencies and vibrations of the New Earth. As a bonus, I am also offering a special coupon code which gives a 33% discount on my personal “Activation Sessions”. The gift and coupon code can be accessed by completing and submitting the simple form below. Once you hit “Submit”, you will be taken immediately to the Tastings of Eden pdf and the coupon code. 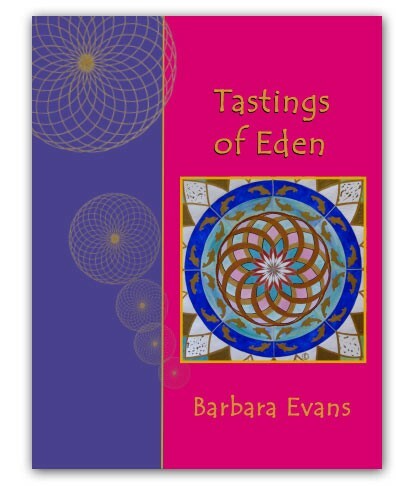 I hope you enjoy Tastings of Eden!